Enter the velvet world of cabaret in 1920s Vienna for an evening of poetic jazz and aerial performance infused with the smoky tones of French chansons and old school rock ‘n’ roll. 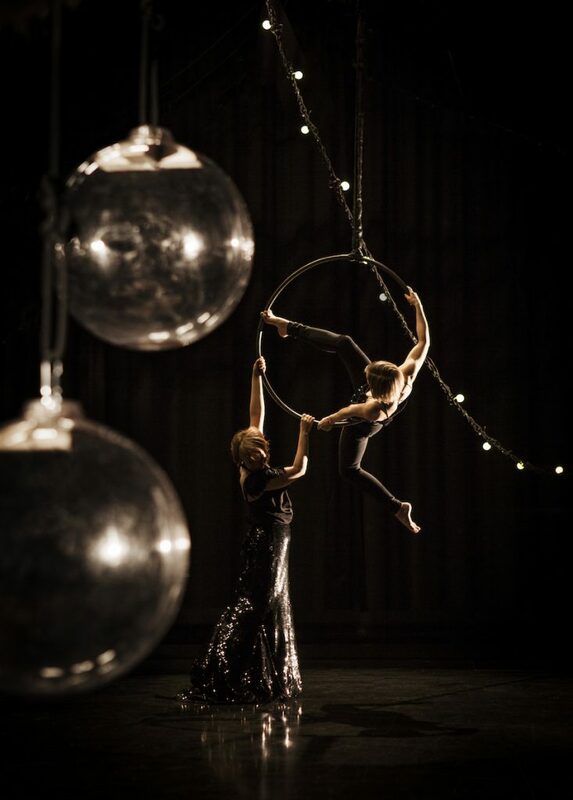 The audience are surrounded by a the mixture of sultry songs and sophisticated choreography that takes place on tailor-made apparatus rigged in response to the beautiful interior of Circomedia’s grade II listed church on Portland Square. Finnish aerialist Ilona Jäntti and singer-songwriter Aino Venna have created a unique and minimalist cabaret-esque night that will linger in your memory for months to come.